AMDS carries out freight shipments by sea through solid partnerships established with the major shipping companies on the national and international territory. 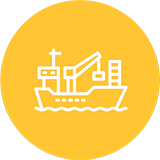 Our services can satisfy any need you have for shipping by sea, from and to any terminal worldwide and with any type of delivery. 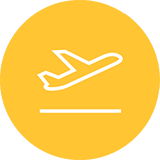 With consolidated relationships with all the major air carriers both in Italy and worldwide, we guarantee a reliable and punctual service, with daily departures for all the major lines of international goods traffic.